Educational tours offered by EA Tours makes the world your classroom. 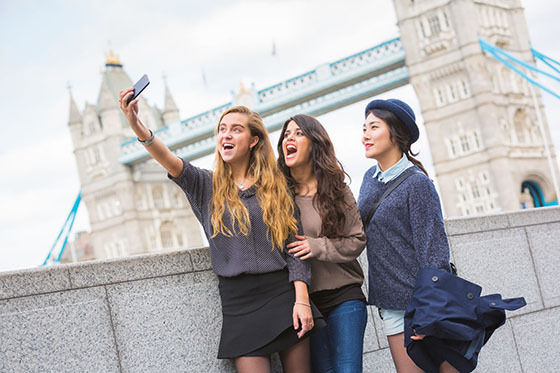 Our educational tours offer you the opportunity to experience foreign cultures, encounter diverse social customs, the chance to study works of art and architecture, international business, fashion and gain proficiency in foreign languages. Students will be able to use their tours, lectures, online research and personal experiences to enhance their educational tour experience. EA Tours is proud to be able to offer both high school and college students the opportunity to earn optional undergraduate college credit through an extraordinary study abroad program offered in conjunction with Nicholls State University, Pasco-Hernando Community College and other institutions of higher learning. Pasco-Hernando Community College also offers continuing education credit for students’ educational tour experience. In addition, numerous other institutions of higher education often award college credit to their students who participate on an EA Tours college trip. Be sure to check with YOUR college or university to see if college credit is available for your participation on an EA Tours educational student tour. Please feel free to call EA Tours if you need additional information about college credit opportunities. Our professionals are available to serve your needs. ★ ★ ★ ★ ★ "I cannot thank you enough for making my first experience as a Teacher / Group Leader a success. I am looking forward to a long relationship with EA Tours and can’t wait for next year. Thank you again!"